Because of the number of sign-ups, the brackets will be combined. However, the top ranking Beginners will still receive the top beginner prizes. IMPORTANT NOTES FOR THE TOURNEY: Two new Dueling planets have been added for the Tourney and all Dueling planets have been renamed to make match-ups easier. When you are matched, please drop on the planet as soon as possible. Once you have deployed switch to planet chat. This chat is to be used while you are fighting to communicate with your opponent (DO NOT USE MAIN CHAT TO TALK TO YOUR OPPONENT!) ... Please do not move until you have seen that both you and your opponent are on the planet (planet chat will tell you). If you surrender, tell your opponent then switch to main chat and announce your surrender there as well. If the vehicle you are dueling with is destroyed, you may use a substitute vehicle to continue in the tourney. Planets will be moved automatically to help players deploy and undeploy to them. Good Luck! There is a 1,000 CE limit for the fights and you can only deploy 1 unit (players who go over this limit will be disqualified). You may use any unit and any mods you want. There is no limit to any Commands or Abilities you wish to use during the fight. Players who move their units out of bounds (past the red lines) during a duel will be disqualified. If neither unit is destroyed within 30 turns, the player who does the most damage (from weapons) will be considered the winner. There is also no salvaging, however players may surrender to their opponents (or use an Evac Command) if they wish to concede a match. - There is now a 70 Building Limit for Faction Bases. This means that some thought will need to be put into how these bases are laid-out, instead of just trying to drop turrets into every spot. 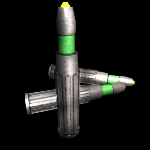 - The Heavy Missile Turret now has two 7 damage attacks instead of one 14 damage attacks (this means that the overall damage output stays the same, but certain mods and units can make the Heavy Missile Turret much less effective). - The Heavy Ballistic Turret now has does 10 damage and has 11 range, its Ammo has also been increased to 250 and it's shields have been lowered by 10 to 90 (its Shield Regen has been decreased by 1 to 9). - The Heavy Laser Turret now does 40 damage (instead of 30) and still has 3 recharge ... this boost (and the new cool-down for commands) should make this turret more usable in Faction Bases. Secondly, several players have expressed frustration over the randomness of mod slots on constructed vehicles. While using 100 Oversight provides the best chance at obtaining 4 Mod Slots on a vehicle, there is still a chance of getting 2. To combat this, a new ability has been introduced Mechanical Savant. Players can purchase this ability for 5 Level Points. With this ability, two separate checks are made for Mod Slots when a vehicle is constructed, the check the gives the most Mod Slots is used to build the vehicle (so if the Mod Slot check shows 2 Mod Slots, but the second check provided by the Mechanical Savant ability gives 4, the unit will be constructed with 4 Mod Slots). The first major tweak to the how Commands work has gone in. Most Commands now also have a "cool down" ... this is the number of turns that must pass before a player can issue that Command again. This should significantly cut into Command-Spam, and (hopefully) will encourage players to team-up to use their Commands more strategically. All offensive commands (commands that are used against other play) have been given a cool down, some defensive commands do not have a cool down, this lets them be used every turn on multiple units. Commands with a cool down of 1 can only be used once per turn. Some Commands will need to be tweaked after this change and this is the first of several tweaks to the Command structure. Also, this change will also for "super" Commands; Commands that are very powerful, but can only be used a few times while deployed. A Command's cool down is listed on the Headquarters -> Purchase Command panel and when the Command is used while deployed. Lastly, visual changes have been made so players can see how many turns are left in a Command's cool down. A few things for today: First-off, merits shown in the Headquarters -> Units page now give a description of that the merit does (also, a crew with the War Hero merit now displays the proper CE on this page). Secondly, a bug in how shared experience for crews with 3 merits was found and fixed ... shared experience for units with three merits has been decreased, as has experience given from destroying buildings. Lastly, dodge-modifiers have been re-worked. The dodge-modifier now works in concert with the movement modifier (ie. how far the target unit moved). So if a unit's movement-modifer exceeds its dodge-modifer, only the movement-modifier is counted. If the dodge-modifier exceeds the movement-modifier, only the dodge-modifier is counted. This means that fast moving units will have less use for dodge-modifiers (as long as they are not holding still), while slower units will see almost no difference. Simple Version: The more a unit moves, the less effect the dodge-modifier has. Last of the dodge-tweaks - the doge-modifier has been capped at a 50% penality. This means that if a unit is 100% hittable (which happens with an elite crew shooting from an un-moving unit at another un-moving unit in the correct weapon range), the best penality for a maxed-out dodge will make the shot miss 50% of the time. Last, last but not least ... Faction mates should no-longer be able to stack the same command on a vehicle or building (so no more having five faction members using the same damage bonus Command on an enemy target). A few players have asked for TinyWarz banners for forums and websites. Feel free to use either of the following to show your support. Also, if you wish to contribute a banner, please message me in-game (some Tinybucks will be awarded for submissions which are selected for use). If you choose to use either of the below banners, please download them and host them on your own site. Also, a tweak has been made to the damage of the Heavy Ballistic Turret. It now does 10 damage in one shot instead of 12 damage in two. I initially made this change to make the building match-up with its image, but this makes the weapons too weak against minus-to-damage mods. A small bug was found regarding how planets handle destroyed Command units. This would cause players to not receive Experience points from kills they made with their Commander. I've made some changes to how to game handles units that are killed, this should fix the issue. If any additional "wonkiness" pops-up regarding destroyed vehicles, please create a post about it in the Bugs section of the forum. Buuut, to compensate for this, Relic planets now run on 60 second turns instead of 90 seconds, this means that Relic planet runs will be much faster, which will give faster ore, experience, etc. Lastly, destroyed vehicles in a square with other vehicles will now count as friendly instead of enemy for the multi-vehicle icon. To make Faction Requests a little easier to manage, Faction Admins can now Accept or Deny all Requests for a certain user. This will allow Faction Admins to quickly move Vehicles, Mods, Units and Crews to other faction members (messages about these Requests are also consolidated to cut-down on Request spam). Tuesday's power-failure knocked out one of the main routers at the ISP. They switched to a backup, but it was mis-configured which resulted in a general slow-down of all servers (including Tinywarz). As of today the problem should be fixed, those of you who have been experiencing lag over the last few days should see things pick-up a bit.